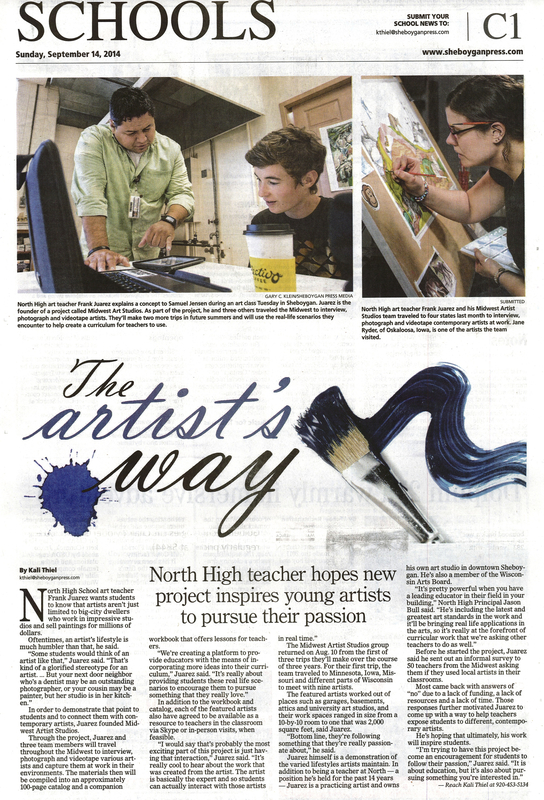 Thank you to the Sheboygan Press for covering this amazing project. 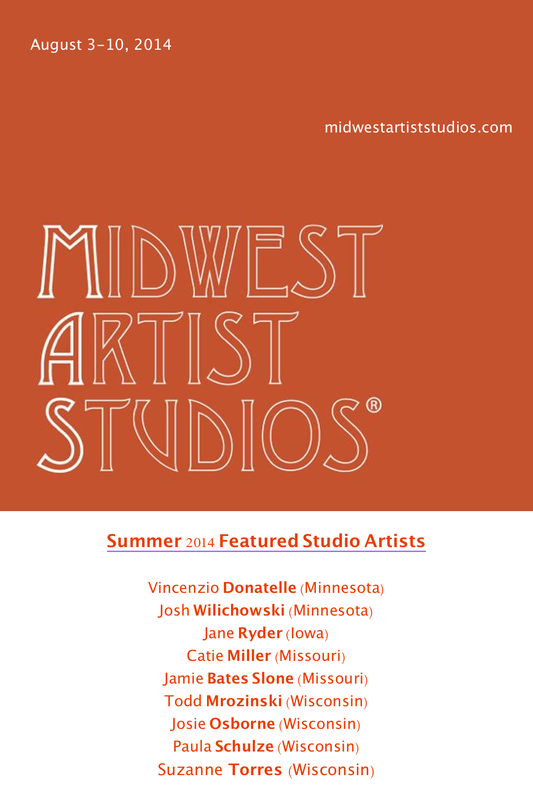 Help us spread the word on this project, it’s talented artists and it’s aim to link Contemporary Art practices with Art Education across the Midwest. 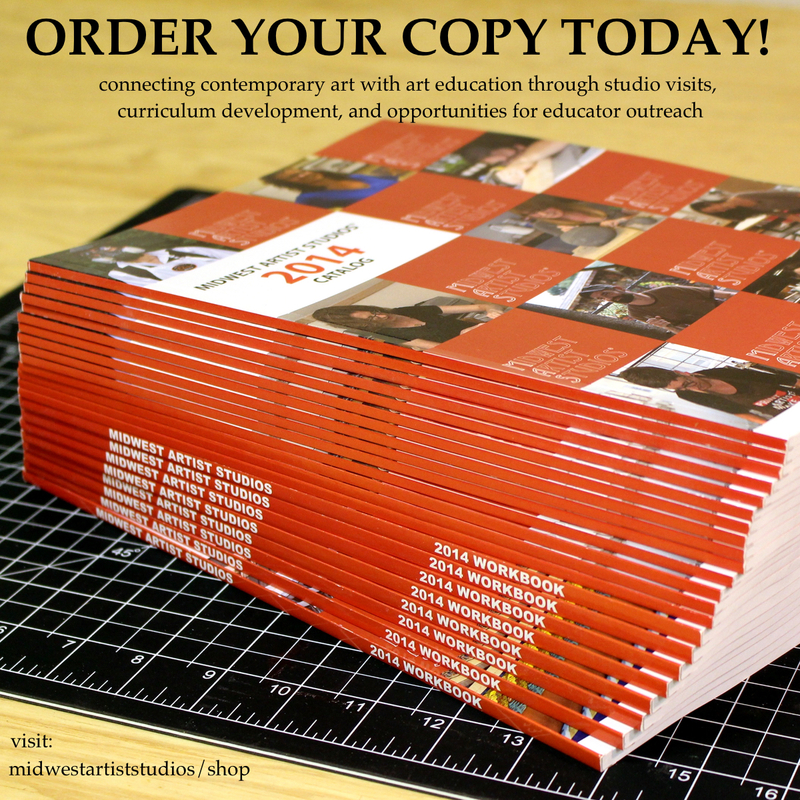 Correction: MAS artists will be available via Skype only and Frank Juarez is the Past-President of the Wisconsin Art Education Association. Today’s trip takes us to Oskaloosa, Iowa. My paintings are a right-brained approach to observing, dissecting, and recording the objective subject matter found in the lakes, rivers, prairies, and forests of south central Iowa. As my intimacy with the land surrounding me evolves, so do my approaches for depicting the complexities of varying terrains and the plants and animals that occupy them. 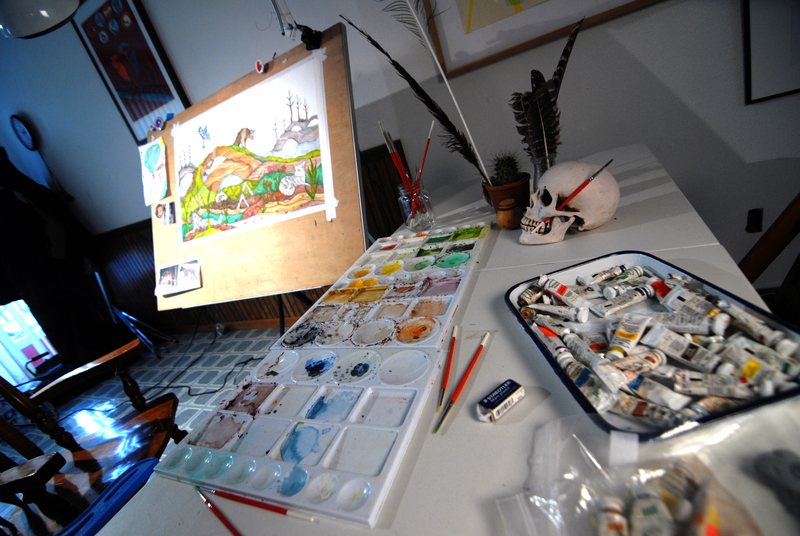 Each of my gouache paintings is a fictitious ecosystem that has been broken down into a series of vignettes. Each vignette describes the decay, growth, and interaction between the flora and fauna of that imagined place. Although bold colors, re- peating patterns, and flattened space make the paintings appear fantastic in nature, each scene is based off an observation.